Dear Escape room Enthusiasts, Creators, owners from Alpe Adria region (Slovenia, Croatia, Serbia, Bosnia, Hungary, italy, Austria)! The Association of Escape Room Activities of Slovenia GIZ ER.SI is co-organising the Regional “Gamification & Storytelling” conference in Ljubljana on 27th of September 2018. 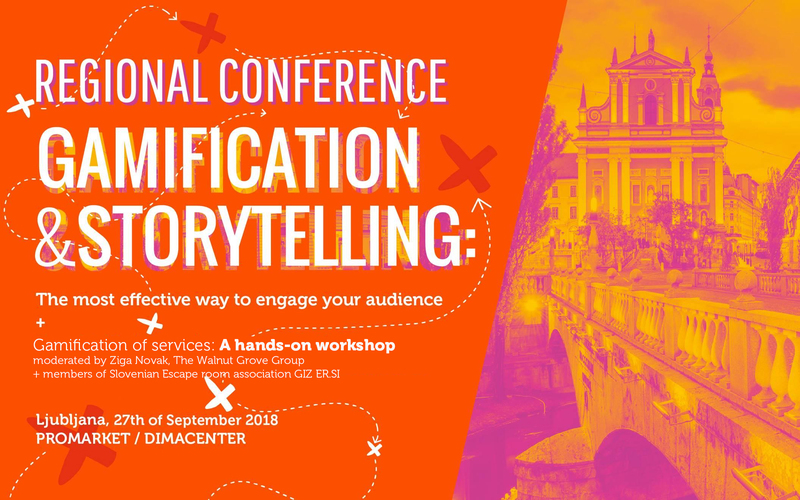 If you want to know, how to most effective engage your audience – welcome to Ljubljana! Besides interesting talks, A hands-on workshop “Gamification of services” will be held in the afternoon.